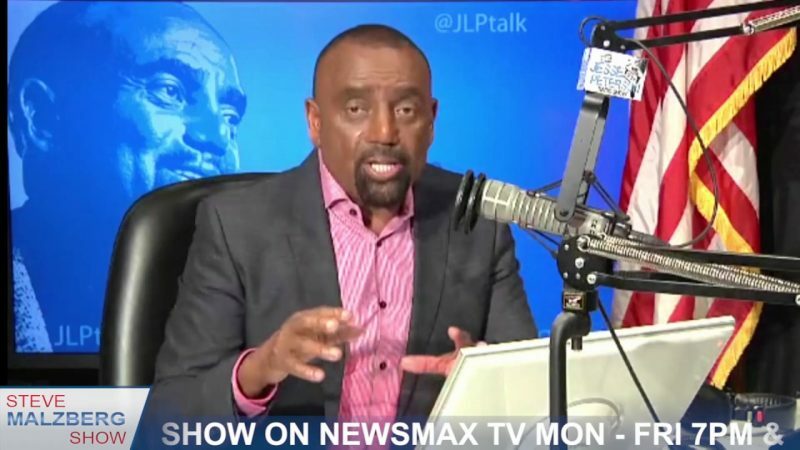 Yesterday’s episode of “The Jesse Lee Peterson Show” contained a truly bizarre exchange during which Peterson, unable to defend President Trump, was reduced to attacking a caller as a “beta male” for admitting that he is affectionate toward women. “That’s a beta male, not an alpha male,” Peterson chortled. “It bothers me that he is not taking control of his wife and telling her, ‘Do not embarrass me on this big stage,'” the caller said. “If you were not bothered by the weakness of the Fallen Messiah, Barack Obama, why are you bothered by the first lady—who is really bringing back class to the country after Big Mama Michelle [Obama] embarrassed the country—why are you so bothered by the hand holding?” Peterson incoherently asked. When the caller responded that Melania’s behavior demonstrates “a lack of affection” for her husband, Peterson pounced.